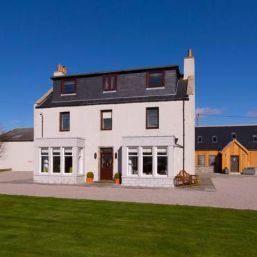 This luxuriously converted farmhouse is situated 6 miles north of Aberdeen and within throwing distance of the New Trump International Golf Links. It commands stunning views over rolling sand dunes as well as easy access to some of Scotland’s most beautiful countryside and top visitor attractions. There are four sumptuous and individually-designed en-suite bedrooms, with a beautifully appointed lounge and spacious dining room for guests. This luxury, boutique four bedroomed B&B will give the feeling that you are visiting your own country house. Each en-suite room is individually decorated and finished to a high standard with the Donald Room having its own private sitting room. 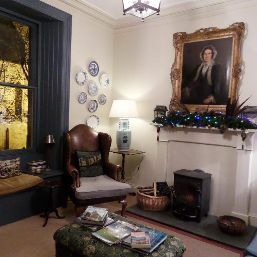 The Snug, with its tasteful decoration and comfortable furnishings will invite you to sit and relax for tea on your arrival or to just gaze out at the famous Dornoch Cathedral. Free WIFI is available throughout the house. 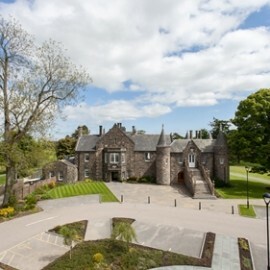 An immaculately restored Grade-A listed, Georgian mansion situated on Scotland’s north east Moray coast and an excellent base for a golfing trip to the Highlands. It is owned by Don and Wendy Matheson, whose love for this beautiful Regency house saved it from the Historic Scotland’s ‘endangered list’, and it is ably supported by award winning Chef Charlie Lockley. Each bedroom has its quirks and is unique in size and decor. With the exception of added en-suites, each has retained its original character. The 2 Orangerie rooms, which were the original kitchens, are more contemporary in design and boast impressive vaulted ceilings. The inviting restaurant offers fine views through the impressive French windows, over the manicured lawns and down to the lake. The menu changes daily to take advantage of local, seasonal produce and many of the dishes served have been sourced from the hotel’s kitchen garden. Three and six course dinner options are available, each with canapés enjoyed beforehand! Dinner here is a must!! There is also an excellent Spa onsite with a large selection of beauty treatments in stunning tranquil settings. The combination of beautiful bedrooms, delicious dining and fantastic grounds means you are in for a memorable stay. Ideal for couples who appreciate fine food and drink. 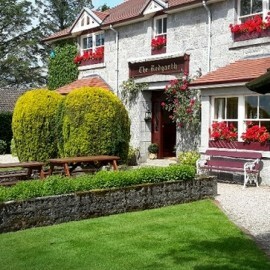 Formerly the Claymore, this cheerful family-owned hotel has received a massive refurbishment in the last few years to create a contemporary and welcoming base from which to explore the Highlands. Bedrooms and public areas are fresh and stylish with bright colours and bold patterns giving them a boutique feel. The cosy lounge bar is a popular and lively spot where guests and non-residents can sit next to the open fire and enjoy a wee dram or a bite to eat if a meal in the restaurant seems like too much! The restaurant offers an excellent dining selection at an affordable cost and there is also a cracking view over the gardens from the Sun Lounge, where you can enjoy a pre-dinner drink or two!! The Clubhouse is ideally located in a quiet residential area close to the beach and Nairn Golf Club but it is always a hub of activity and a lively place to stay. It is also just over an hour’s drive north to Dornoch. 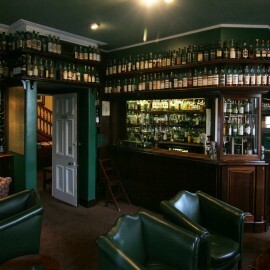 Craigellachie Hotel, Speyside reopened its doors in May 2014 after a major refurbishment which was only fully completed in November with the re-opening of the Quaich Bar, home to one of Scotland’s largest selection of single malt whiskies. This property offers the rare opportunity to savour the style and elegance of a by-gone era, combined with all the comforts of a first-class hotel. All the public rooms have been lovingly restored using fine fabrics and high quality period furnishings and all bedrooms have been beautifully refurbished to very high standards, providing a graceful, yet homely ambience for you to relax in. At the basement level of the hotel you will discover the hotel’s atmospheric restaurant and other bar, the Copper Dog, which offers the best in local produce and where possible supplies are sourced from a 40 mile radius of the hotel. The bar is well stocked with a great range of local whiskies, craft beers and a selection of real Scottish ales from local breweries. An award-winning, hugely impressive Grade-A Georgian mansion and arguably the most conscientiously deluxe hotel in the vicinity. Steeped in history, Culloden House Hotel housed Bonnie Prince Charlie at the time of the Jacobite uprising (1745-46) and provided his battle headquarters before his fateful battle on Culloden Moor. There is much evidence of the house’s history throughout the public areas and the grandiose setting makes you feel like you have travelled back to a bygone era! The grand accommodation is complemented by the outstanding staff who are renowned for being extremely attentive and welcoming and for going about their duties in a friendly, good humoured fashion. 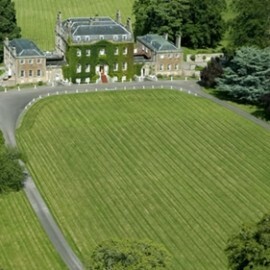 The house sits in majestic grounds which can be enjoyed by all guests. 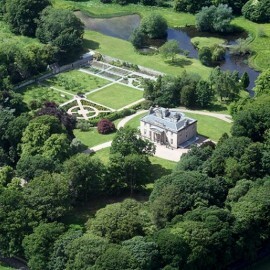 There is a 4-acre walled garden with fruit trees, wild flower meadows and forest trails. Croquet is set up on the lawn and there’s a new tennis if you fancy being really active! Culloden House is rated four star with two Rosettes for food & boasts a Silver accolade with Eat Scotland. This property will certainly add an edge to the northern leg of any trip! 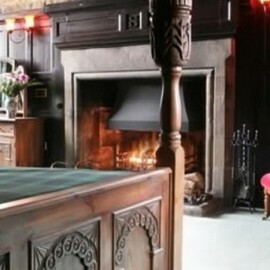 Enjoy a flavour of the Scottish 16th century in this cheery hotel which is brimming with character. 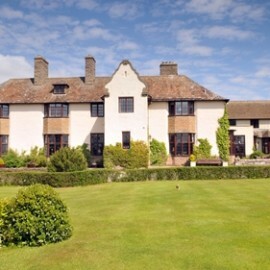 There are 3 different room categories; the modern Garden rooms overlook the pretty walled gardens, whereas Superior and Deluxe rooms are located in the older 15th and 18th century sections of the property and have all been sympathetically refurbished taking into consideration the original layout and atmosphere of the building. The property is home to a lively, friendly bar which is surrounded by atmospheric stone walls, and where you can settle in front of the 11 ft fireplace for a wee dram or an informal meal. For something more formal, there is also the award-winning Garden Restaurant which is popular with visitors and locals alike. This 4 star hotel is ideally located on the High Street in Dornoch and is within close proximity to Royal Dornoch Golf Club. Your hosts Gordon and Hilary Sutherland extend a warm welcome to their lovely boutique B&B which has recently opened next to the prestigious Royal Dornoch Golf Club. The only B&B in Dornoch with an official 5 star rating from the Scottish Tourist Board, Fionn Lodge offers high quality service in contemporary surroundings. Rooms are light and airy and finished to an exceptional standard. 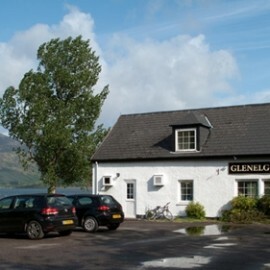 Glenelg Inn is a truly unique venue located in an area of awe-inspiring beauty where you can enjoy uninterrupted views over the Sound of Sleat and on to the mystical Isle of Skye. On your arrival at this cosy, Highland inn, you can look forward to exceptional hospitality, coupled with fine food and lively entertainment. Bedrooms are traditionally and tastefully furnished and the bar is oozing with character and local charm. It is a great place to meet the natives and frequent spontaneous musical sessions with the fiddle tend to arise. The journey there is a joy in itself passing through totally unspoilt territory, surrounded by wildlife and spots of interest, in the land where Gavin Maxwell wrote his classic novel, Ring of Bright Water. Skye is only a short ferry ride from the hotel and Glenelg is actually home to the original Skye ferry which still operates today across the Kylerhea narrows. This 4 star hotel has a lovely location on the shores of the Moray Firth, with gardens sweeping down to Nairn beach and views out to the Black Isle. As as its name suggests, it is also only a short stroll from Nairn Golf Club. It boasts impressive leisure facilities including swimming pool, gym, sauna, tennis courts and Sonas Spa. Much of the hotel has recently been refurbished and you will find a traditional, comfortable interior offering a warm, Highland welcome. There is a selection of dining options within the hotel. The Fairways Restaurant offers a finer dining experience and has just been awarded AA Rosette status. Alternatively, the Links Brasserie offers a more informal meal where you can enjoy the views of the coastline and beyond. Inverness is only a short drive away, as is Culloden battlefield and Cawdor Castle. 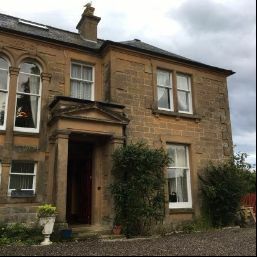 A warm, traditional Highland welcome awaits you from your hosts Sheelagh and Dave as soon as you enter this imposing, Victorian property in the West end of Nairn, close to the beach, town and golf courses. Rooms are bright and spacious with large bathrooms, the level of service is great and the Scottish breakfasts are also delicious. 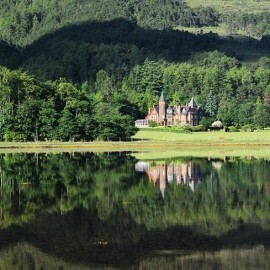 Scotland’s flagship Highland deluxe hotel (A member of the exclusive Relais et Chateux group), uniquely located amongst the glens, lochs and mountains of this truly breathtaking area. There are acres of rhododendrons and rainbow trout in the loch which is overlooked by some impressive hills. Each of the 17 bedrooms has their own individual design and character all with splendid views of the grounds and surrounding countryside. The rooms are huge and colourful and facilities include 30 inch Phillips mirror televisions, personal safe, cd player, radio, iron/ironing board. DVD player and video player, personal laptop computer with internet access, as well as Play station II available upon request. There are 3 dining rooms, each decorated with elaborate period furniture which was presented to Inverlochy as a gift from the King of Norway! The 3AA rosette restaurant’s menu offers modern British cuisine and it is a rather fancy affair with gentlemen expected to wear jacket and tie for dinner. Inverlochy really is the epitome of grandeur and excellence. Situated in the heart of Cruden Bay, and only a short walk from the golf course, this cosy 3 star hotel is a regular host to golfing groups coming to play one of the finest links on the east coast. Blessed with friendly, attentive staff you can be assured of a warm welcome in comfortable surroundings. All of the 14 bedrooms have been recently refurbished to a high standard and are spacious and comfortable. There is a restaurant serving only dishes with locally sourced produce, in addition to a lounge bar serving more informal bar meals. For a real taste of Cruden Bay, there is also the public bar, known locally as the ‘Killie’, where you can expect a lively atmosphere and good company. You can even have a game of darts or put your favourite track on the jukebox! 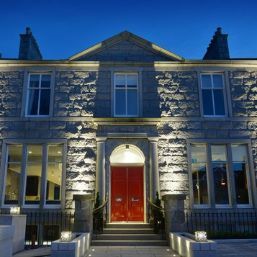 Special care has been taken in turning this 19th century Manse house into one of the country’s finest small 5 star venues, located in the charming town of Dornoch and only a short walk from the prestigious Royal Dornoch Golf Links. To match the graceful, lovingly restored exterior, inside guests will be able to luxuriate in the individually-designed bedrooms complete with bespoke Links House Tweed fabrics and carefully selected antiques, furniture and fine art and king-size beds. In the drawing room, antiques, art and deep sofas invite you to relax for afternoon tea or just gaze out across the legendary links. In the wood-pannelled library, the smell of peat emanates from the fireplace while board games, an eclectic library and single malt collection invite you to linger. The fine-dining restaurant overlooks the gardens and putting green maintained by Royal Dornoch’s master greenkeepers, allowing guests to make the most of the long Summer evenings. There are only 8 bedrooms in the property, making it an ideal exclusive use venue where your group can fully appreciate the finer things in life! This is an enchanting baronial house set within a 240 acre estate in rural Aberdeenshire. After an extensive refurbishment in recent years, accommodation is now spread across 3 buildings (the Manor House, the Stables and the Chain Lodge), each with its own individual character, and assuring a very personalised experience. Rooms are individual and stylishly unique with modern Scottish decor, including antique artefacts, giving them a real homely feel! If you still feel that you have not had your quota of golf on tour, the hotel is located right beside an excellent parkland golf course, which is exclusive to members and hotel residents and includes a world-class golfing academy and teaching centre. Cruden Bay is only 40 minutes away. 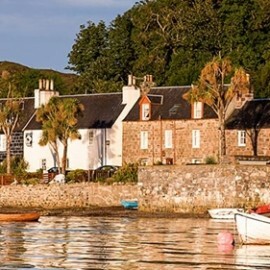 Situated on the waterfront in the beautiful conservation town of Plockton, the family-run Plockton Hotel has superb lochside views that are simply breathtaking. The hotel looks out over loch Carron and below are the watchful mountains with palm trees on your door-step – it is hard to believe you are in Scotland! Your hosts, the Pearson Family extend a warm and friendly Highland welcome into their hotel which is beautifully furnished and kept to the highest of standards. The restaurant has also won awards for its seafood and is highly recommended. All bedrooms have en-suite facilities and many look out across the loch to the mountains beyond. Two family suites are also available along with a cottage annexe nearby. Please note that being a cottage you may find that rooms are on the cosy side but this is more than made up for by the character and charm! 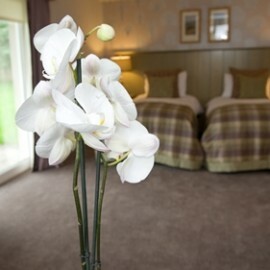 A local inn with a good standard of accommodation, situated in the charming Aberdeenshire town of Oldmeldrum. Rooms are quiet, comfortable and spacious and the ensuite bathrooms are a good size too. Serves good food using a wide selection of local produce and great cask conditioned ales. The owner, Stuart and his team are impressively attentive and look after all their guests in good humour, giving a warm, friendly atmosphere to what is already a most comfortable property. 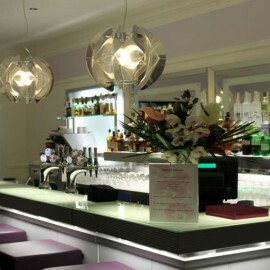 This discreet boutique hotel, bar and restaurant offers you wonderful luxury in the heart of Inverness. All rooms feature emperor-sized beds and are decadently decorated for your ultimate comfort. The Chez Roux Restaurant is excellent with a sophisticated yet relaxing ambiance and well worth a visit! 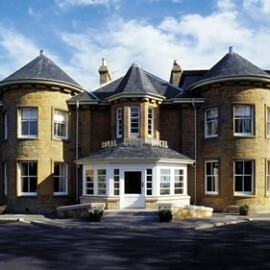 The 4 star Royal Golf Hotel commands a truly spectacular position overlooking Royal Dornoch Golf Course. It has undergone significant refurbishment in the last few years and is under new management which has provided it with a new lease of life. You can expect a warm, Highland welcome from the staff who are incredibly helpful and nothing is too much trouble. 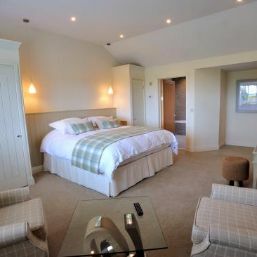 Many of the 22 en-suite and individually styled bedrooms overlook both the golf course and Dornoch Firth beyond. All rooms are well equipped with direct dial telephone, flat screen televisions incorporating freeview channels, hospitality tray and complimentary toiletries to ensure a comfortable stay. The Conservatory Restaurant has incredible panoramic views and serves food all day, providing an array of mouth-watering dishes made from the finest locally sourced, fresh and seasonal ingredients. The hotel has received several awards; most notably Hotel of the Year 2011 and it is a key player in promoting golf in the Highlands through Highland Golf Links. This Highland property was originally designed as a private country house in the early 1900s by the renowned Scottish architect, Sir Robert Lorimer. The elegance of that period has been carefully retained whilst bringing the hotel’s facilities into the modern era. Carved wooden fireplaces and a sweeping stairway lead you to the 22 individually styled bedrooms. The hotel also boasts its own indoor pool and fully equipped spa, leisure club and gym. There is also a choice of three restaurants including the Garden Room, an all-day Cafe Bar, Hunters Bistro and the award-winning, Lorimer Dining Room serving freshly cooked local seafood, meat and game. Set amid glorious coastal scenery, with delightful gardens, including a putting green for those wishing to take in a bit of practice after dinner! Your hostess, Liz Burgess extends a warm, friendly welcome to all guests arriving at her luxury 5 star guest house which is a beautifully appointed former dairy farm, within a few minutes’ walk of the fantastic beach and Nairn Golf Club. 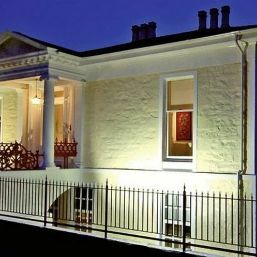 The house has lovely open aspects, with views towards the Black Isle and the Moray Firth, famous for dolphin watching. There are two well-presented bedrooms in the main house and four fabulous spacious bedrooms in the Courtyard, which were completed in 2010. The rooms are truly great with luxury bathrooms you would expect to find in any top class hotel and with fresh breakfast serving the finest local produce and delicious home baking you will not want to leave! This is an ideal base to explore the beautiful Highlands of Scotland and to visit the many wonderful distilleries, Historical Castles and Landmarks including Culloden Battlefield and Fort George, which are only minutes away. The property has won many awards, including Accommodation Provider of the Year 2012 ‘Best B&B’ at the Golf Tourism Scotland Gold Standard Awards. Located in the heart of the Aberdeen. 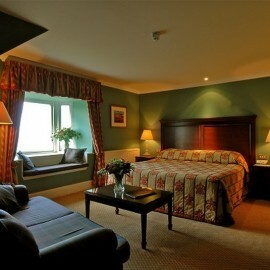 This is a sumptuous 50 bed room property with a 2 AA rosette restaurant. 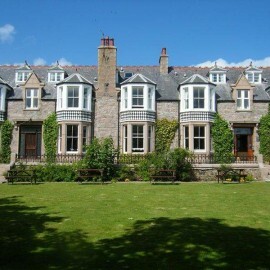 It is the perfect base for a stay in in the north east of Scotland. 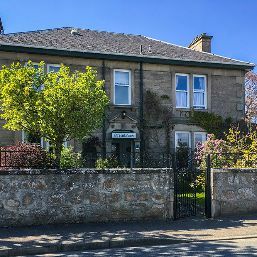 The Old Manse is a family run guest house situated in the beautiful burgh of Dornoch, a two minute walk from restaurants and shops and a further fifteen minute walk to the world famous Royal Dornoch Golf Course. Owners, Yvonne and Allan extend a warm and friendly welcome and are delighted to accommodate your requests such as early breakfasts for golfers. Outside the large historic building there is a secluded garden which has free private parking and tables and chairs for residents use. This traditional shooting lodge offers supreme Highland comfort. Very authentic right down to the peat tinted water. 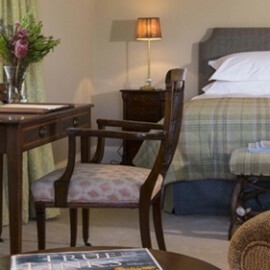 All of the luxurious 18 bedrooms are individually designed with fine furnishings and fabrics and many of them offer spectacular views over the loch to the Torridon Mountains. All rooms have en-suite, Victorian-style bathrooms – some with free standing baths, which contrast beautifully alongside the modern convenience of satellite television, internet access and Roberts FM radio with Ipod docking stations. Day trips can be made to the Isle of Skye and the hotel as an extensive range of activities on offer from sea-kayaking and gorge scrambling to archery and clay-pigeon-shooting. For sheer raw, wild and natural beauty this area of Scotland is hard to match. 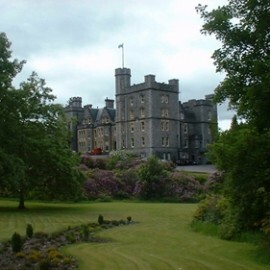 The Drumgolf team uses Luxurious Grand Hotels and Historical Family Owned Establishments.